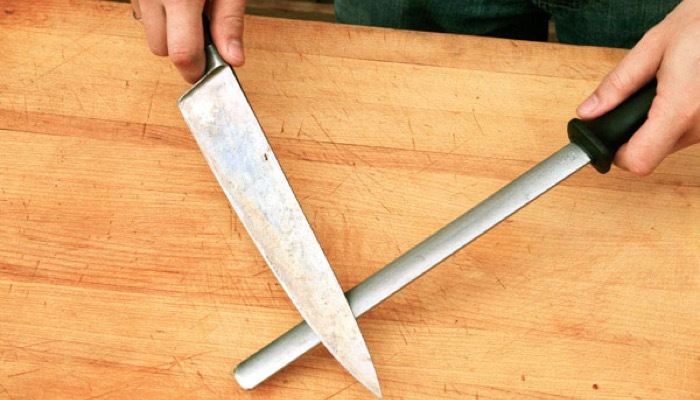 You may have kitchen knives at home that you still want to use but are no longer very sharp and you want to learn how to sharpen a kitchen knife. Well, there are many ways you can do that. You have the option to use special tools or tools that you can readily buy. There are electric systems that you can use or more manual ones. Of course, it can sometimes be easier to buy new knives but if you have invested in a good knife, you may want to keep it for longer and just try to sharpen a kitchen knife. If you do decide to just purchase one or if it’s your first time buying one, here is a great guide on how to choose a chef’s knife. This is especially great if you want professional quality results. Before we look at the specific ways on how to sharpen a kitchen knife, let us first take a look at this process called honing. A honing steel or butcher steel is a long metal rod that comes in the center of a knife block to hone knives. A honing steel straightens out the blade of a knife so that the edge becomes straight and ready for you to use. When you use a knife, the tip of its blade eventually bends and curls over time so that you don’t have a real blade-on cut anymore. So it’s good to hone your knives regularly to keep the cutting edge straight. It makes your knife feel sharper. Honing needs to be regularly while actually sharpening your knife takes only once or twice a year. 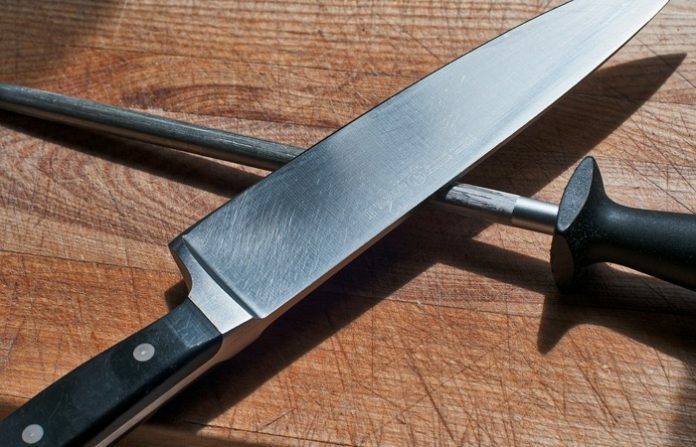 Here are some tools that you can use to hone and sharpen a kitchen knife. Depending on how much sharpening your knife needs, these are the tools that you will need. Later, we will look at other simple ways on how to sharpen a kitchen knife with other materials. A whetstone is also called a sharpening stone that you can use to sharpen a kitchen knife. There is usually a coarse and fine grit on both sides and it has two sides. The grit measures how rough the stone is and how intensely it will sharpen a kitchen knife. A higher number means it has finer grits and a lower number means a rougher surface. The honing steel as we learned earlier, sometimes called the steeling rod is used by passing the knife on each side. So let us take a look at how to sharpen a kitchen knife use a whetstone or what we call as the actual sharpening of the knife. First, you need to soak the whetstone in water before you sharpen a kitchen knife. Do this until no air bubble pop up. This stone is porous so it needs to fill with water so that the blade doesn’t catch. 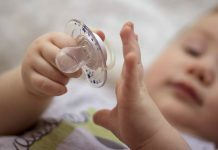 It decreases the friction and helps prevent scratches and nicks. Make sure to keep getting the stone wet as you work so have some water nearby. 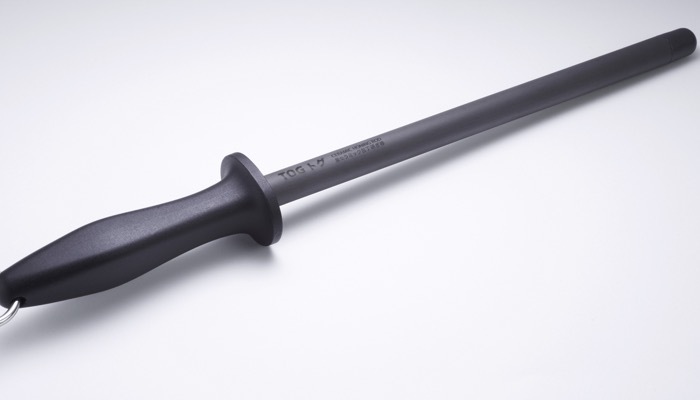 Secure the whetstone in place by using a non-slip pad. This will keep it from moving as you sharpen to prevent any dangerous situations. This is for safety when you sharpen a kitchen knife. You can use a damp cloth or towel. You can also use a silicon baking sheet or a hot pad. You will begin with the coarse grit side of the stone. This is the one with the lower number. Splash some water on the top before you start to sharpen a kitchen knife. Remember to always start with the rougher part of the stone. Tilt your knife so that the blade is roughly in 22-degree angle with the stone. Angle the blade so that it is halfway between perpendicular and flat on the stone. Then angle the stone so that it is roughly halfway between this angle and the stone. The steeper the angle, the more durable your knife will be but don’t make it too steep or you risk cracking the edge. Place your other hand in the middle of the flat side of the blade and keep your fingers flat and away from the sharp edge of the knife when you sharpen a kitchen knife. Keep the angle of the knife consistent then push the blade evenly across the whetstone. Your motion should be smooth and fluid like you are slicing a very thin piece of the stone. Repeat this step as many times as necessary moving your fingers safely to sharpen the whole knife from the edge to the hilt. Do not push the blade down into the stone. Now you can flip the blade and repeat the process on the other side. Make the same number of passes so that both sides are evenly sharpened when you sharpen a kitchen knife. You can now switch to the finer grit stone and alternate sharpening each side of the knife. To do this, make one pass on one side and then flip the knife and make another pass on the other side. Keep the angle and the motion consistent as you sharpen a kitchen knife. Keep the pressure very light when using the finer grit stone. Remember to keep the stone wet at all times and frequently wipe the grit from the knife with a damp cloth. Use your honing rod or steel rod to properly align the blade. Make sure to use a few passes on each side and keep honing the blade every time you use your knife. If you want to use readily available sets, we have made a list of different tools that you can easily use to sharpen a kitchen knife. 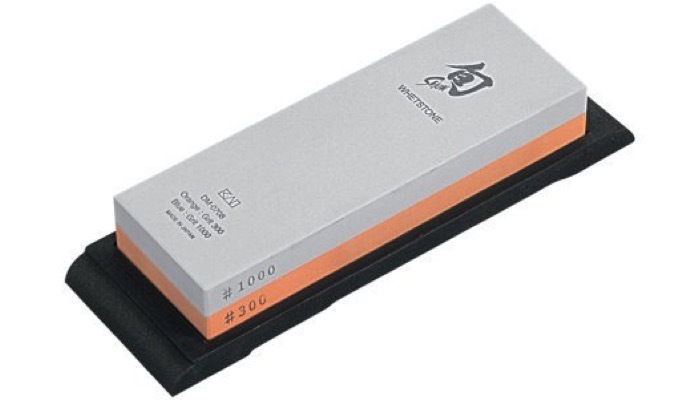 If you prefer to stick to stone, here is the best knife sharpening stone set. For electric sharpeners, this is the best knife sharpener under 50 dollars and the best knife sharpener under 100 dollars.